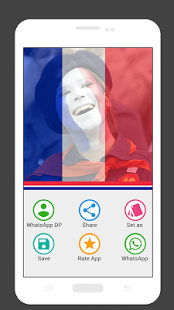 Support France Photo Maker is a photo maker app to Support France Theme Wallpaper Lover. 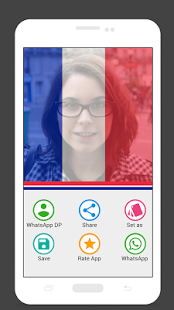 By this app you will able to support France by changing your DP of social apps. Show your Humanity towards Paris. Here is the app for you. 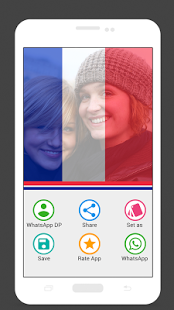 Install it and make attractive and profile picture images to support attacked victims of Paris. Ã Select Photo From Camera or Gallery. 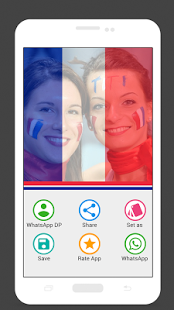 Ã Add France flag in your photo. Ã Lot of Flag Designs. Ã Built-in crop photo function. 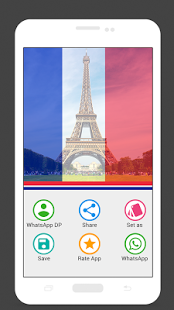 Ã One click change picture of whatsapp. 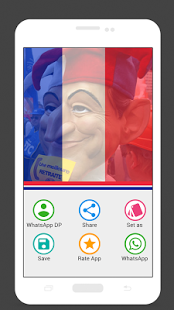 Ã Share it with friends and family on whatsapp, social-media etc. Ã You can also set wallpaper in your home screen. 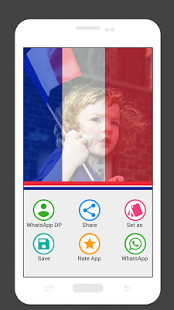 Enjoy This Amazing App and support France with this Photo Maker app.